Suara Sarawak: Religion Is About Deeds Not Words..
All religions are intended to civilise us, which makes it all the more of an affront when people do the most uncivilised things in the name of religion, like attacking other people or indeed attempting to deny them their legitimate rights to their own form of faith. For these reasons that minority of aggressive people, who are becoming most hysterical about seeking to deny the Christians of East Malaysia their longstanding right to call their God what they have always called him should stop to consider their own deeds. Anifah Aman, whose family has been welcomed as minority Muslims into the Christian state of Sabah, should perhaps be wondering what his own religion would say about the vast profits his family has made out of the abuse of political power, rather than ticking off a Papal Nuncio, who requested that Bibles should not be burnt or confiscated for containing a word that a certain minority of Muslims have recently decided they would like to keep for themselves. 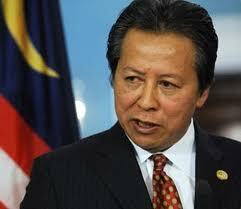 Anifah Aman lectured the Papal Nuncio on ‘interference in Malay affairs’. 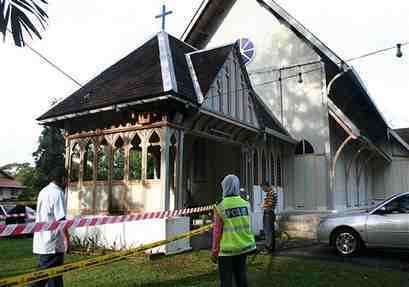 But what about the current interference in the constitutional rights of Malaysian Christians? Alternatively, perhaps he should go the whole hog and remove Malay as the official language in the state and allow the local people to be taught their Bibles in English or their native languages instead? Of course, the whole aggressive trend of threatening people for using words they have always used, or pressuring them to convert for jobs or marriages, while at the same time banning under law the counter-conversion of any Muslim, is merely a thinly disguised form of cultural imperialism and racism. 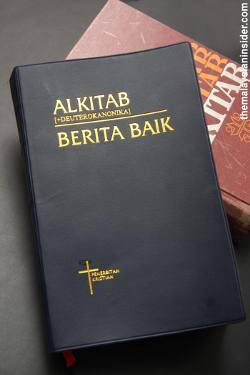 The religious rights of East Malaysian Christians and Malaysians of all faiths were enshrined in the Constitution at the time of independence and this aggressive outside interference with that private right is merely an attempt to undermine that agreement and break the Constitution. Imagine what a fuss would be made if Muslims were treated in such a way in the UK or Australia, where bigotry is rightly condemned. As the vast majority of Muslims in Malaysia accept, tolerance is a two way street and Bible burners and aggressive converters are merely trouble-makers, who are distracting from the real purposes and beliefs of all religions, which is to encourage people to live peacefully and decently. 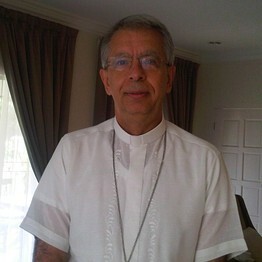 Papal Nuncio – had expressed concern over the interference in the religious rights of Christians in Malaysia. first to demonstrate that their own deeds are pure. Likewise, BN leaders should hesitate to summon and lecture men of religion before they are certain that others will not be left questioning such matters as the money laundering of vast profits of timber corruption and else besides. Such lecturing gains BN no credit except amongst the violent and aggressive elements of society, who prefer to kick in their neighbours than to address their own private misdeeds. Naturally the nuncio turned the other cheek and issued a statement regretting if his pleas for decency had been misconstrued. Of course, there are some people who are fastidious about words and enjoy tracing their origins. Words become extremely important also in the game of copyright. Religious deed? All such attacks have been rightfully condemned and the bigotry behind them should not be encouraged. But it would be fruitless for Muslims to attempt to command the word allah as their exclusive brand, because it is simply the Arabic word for god and existed and was used long before their religion came into being. Christians in Arabia have no other word for their god but Allah and Christianity came somewhat earlier onto the scene than the Muslim faith. Fortunately, they have no wish to deny Muslims the word and there is no argument over the matter as far as they are concerned. Far more significantly, both Islam and Christianity and Judaism share the same view about God, which is that they believe there is only one. Before these Abrahamic religions came into being people believed in lots of gods, but these three linked religions believe in only one, so they give that one lord a capital letter and customarily change the word into a name. It is one unifying factor that these often squabbling but allied faiths all share. However, there are very many other unifying factors which include the same morals, the same values, the same belief in marriage. People who fuss about words and rituals should remember that all these religions teach that it is really deeds and principles that matter not words.